Today’s entrepreneurs do all sorts of things to stay ahead of their competition, which clearly has reached new heights. So, they spend huge amounts of money on creating some of the most spectacular websites, work on building powerful brands and invest in a variety of digital marketing channels including social media. In fact, there are countless reasons why your business needs a strong social media presence today more than ever. But do you know how you can make the most of it? With a social media management tool, of course! A social media management tool is a software or web-based service that allows you to manage multiple social media accounts, schedule posts, collaborate with your team, track performance of your campaigns and much more in a well-organized environment. If you want to get the best results from your social media campaigns, then using a proper social media management tool is a must. However, there are a variety of options in the market which have different features and prices. So, which one should you pick? Let’s find out! What are some of the best social media management tools? 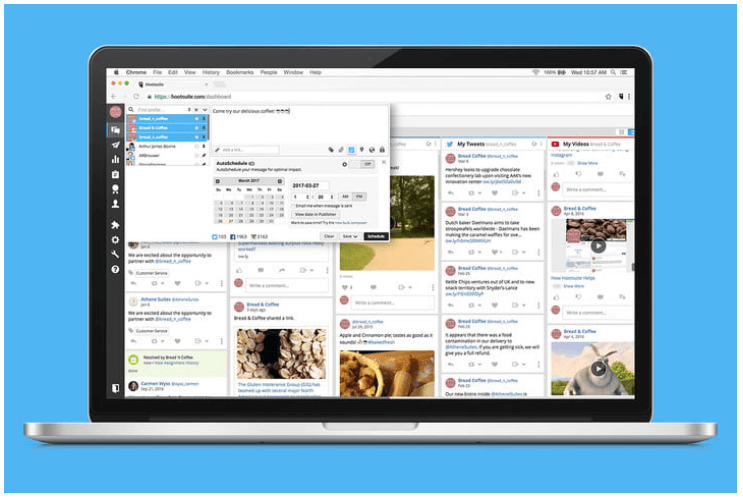 Hootsuite was one of the pioneers of social media management and the years of experience it has now is apparent in the performance it delivers. Hootsuite supports over 35 popular social media platforms including Facebook, YouTube, LinkedIn, etc. and allows you to manage all your profiles from a single dashboard. You can set up a stream for each account individually and organize multiple streams into groups with tabs. You can also auto-schedule your social media activities so that you are connecting and interacting with your fans even when you aren’t at the desk. You can easily upload your content files in bulk in advance and it will upload them for you as per the conditions set by you. As the name suggests, TweetDeck is a social media management tool designed only for Twitter. However, if it’s only Twitter that you are focusing on, then it will help do you a terrific job at marketing and connecting with your target audience. It can help you fix all the problems because of which you are not getting results on Twitter– easily and quickly! The first thing you need to know about TweetDeck is that it’s owned by Twitter (acquired it 2011) itself. Thus, you know you are in the right hands. However, you don’t have to trust it going by the face value alone. It does pack quite a punch with numerous options and features that make Twitter management more efficient and faster. For starters, TweetDeck allows you to interact with your followers with multiple customizable columns rather than a single timeline. You can separate these columns on the basis of factors like hashtags, search results, and messages. You also get to schedule your Tweets (you can schedule tweets for multiple accounts too). Plus, there is a built-in analytics module that helps you keep a close eye on your Twitter performance across multiple accounts. 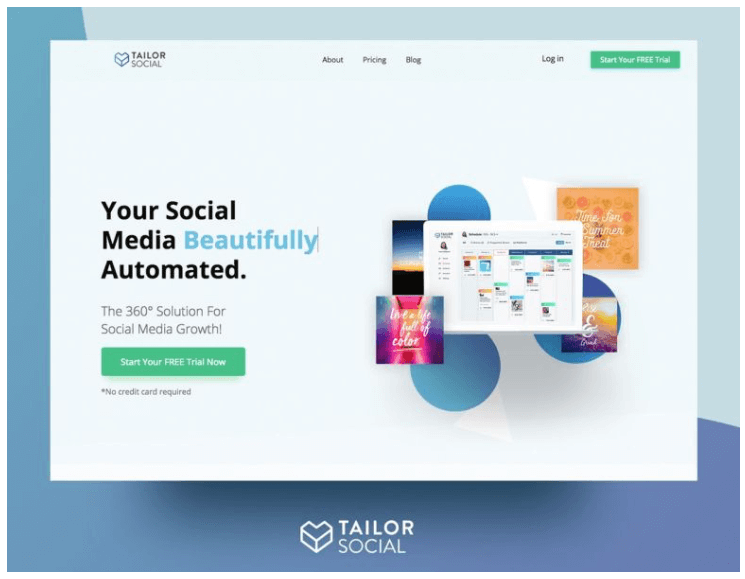 Tailor Social is another top-quality social media management program that’s relatively newer than its counterparts. However, it offers many features that are non-existent in the old ones. This because apart from standard content automation features and social calendar support, it also helps you create premium content for your platforms on the go. With Tailor Social’s design feature, you can create beautiful and unique images that you can share on your social media accounts directly. You can customize every small detail from font sizes to colours, and from photo filters to backgrounds. It also has a simple yet powerful analytics feature that allows you to track the performance on every individual post on the basis of factors like engagement and audience, all of which are presented in numerical values for measurable results. Simply put, Sprout Social is a collection of tools that are designed to help you manage all your social media channels with greater control and flexibility. Some of the features that make it stand out from the other options include influencer identification, smart inbox, and social listening. It even has a decent support for customer relationship management which is really important if you want to learn about your customers and enhance business efficiency. Although Buffer is known as a social media management program, it’s more along the lines of a “content publishing platform”. That said, it’s a powerful tool to have nonetheless. You get all the features you would expect from a tool like Buffer including publishing and RSS. These include scheduling and adding posts and publishing posts from your blogs (with RSS). In For social engagement, you can use its Reply feature which makes it easier for you to respond to social conversations in a single team inbox. This means that you don’t have to switch from Facebook to Twitter or Instagram as you can respond to the messages from one location. You can also assign conversations to your team members or communicate privately with internal notes. 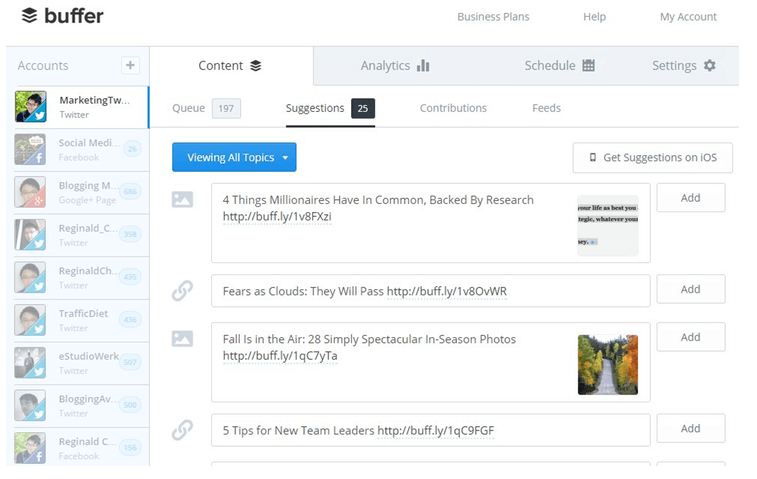 Overall, Buffer is indeed a quality product that you can benefit from a lot. The only thing missing here is support for influencer search but that’s not really a deal breaker unless you need it absolutely. So, there you have it- some of the best “bang for a buck” social media management tools that you can use today. You can use most of these on trial and invest money only if you are satisfied. So, why not give them a shot and see for yourself what they have to offer? Good luck! I’d add Agorapulse as an alternative. If you haven’t tried it, you should. Its inbox-style, task management approach is incredible for business. This is a good and informative post. Thank you.